Be a practicing Catholic who has a strong prayer life, attends Mass regularly, and is committed to Catholic teaching. Have demonstrated ability to live a celibate life. Have the academic ability to complete a regular college program and/or graduate studies in theology. Demonstrate a mature understanding of North American culture. For potential candidates who are not U.S. or Canadian citizens, five years of residency in the United States or Canada is required. 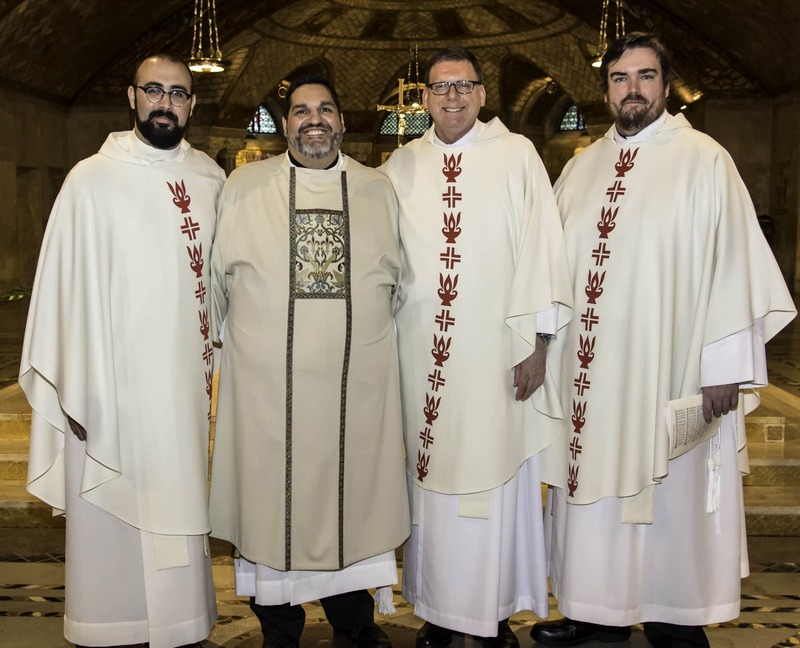 Contact the Vocations Office through referral from another Paulist or lay person; phone call or email of inquiry, or participation at Vocations Office events. Communicate with the vocations director, focusing on the candidate’s attraction to the Paulists and rationale for seeking admission to the program. Receive an application. The application requires submission of names of references, autobiographical sketch, medical examination results, sacramental documents, and academic transcripts. Be scheduled for a complete battery of psychological testing. After a favorable review of the aforementioned materials, be interviewed by at least two Paulists who submit recommendations for inclusion in candidate’s application file. Be notified of the decision of the Presidential Board who makes the final determination. 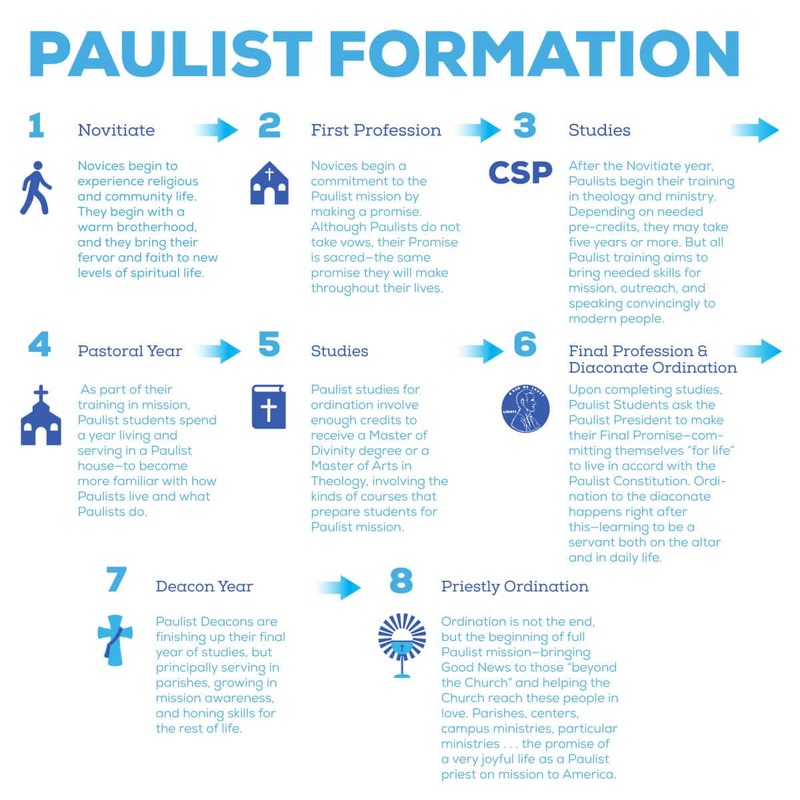 If you become a Paulist seminarian, what are your seminary years like?